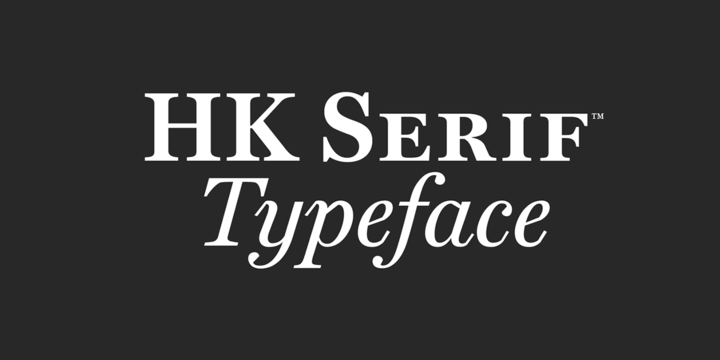 HK Serif is a typeface crafted with pure love created by Alfredo Marco Pradil and published by Hanken Design Co. It is available in 9 styles, 4 weights and italics. Italics are included in the HK serif typefamily as Small Caps are not enough to create emphasis and distiction on the body text. It merge well reading on print and on screen. Enjoy! Price: starting from $1,49 for one font to $10,00 for all 9 fonts. A font description published on Tuesday, September 5th, 2017 in Alfredo Marco Pradil, Fonts, Hanken Design Co by Alexandra that has 2,569 views.